Clarinets from Buffet, Backun, Selmer Paris, Leblanc & More! Kessler & Sons Music carefully selects the clarinets that we carry in our stores. As there are so many brands, models and options available, it can be very difficult for customers to find the right clarinet for their needs. So in order to help, we meticulously evaluate all of the clarinets that the industry has to offer in order to present our customers only the best! If you are having a hard time figuring out exactly which instrument is right for your needs, give us a call and talk to one of our experts today! We carry a lot of different clarinets in our shop. The listing below is of every model sorted only by price from least expensive to most. If you want to refine your search by brand or type (student, intermediate, professional), click on “Sort by Level” above and select the category of clarinet you are interested in. If you want to search by Brand (Buffet, Backun, etc…), click on “Sort by Brand” above. Student clarinets used to provide young players with low cost but usually also low performance. We instead look for student models that offer younger players a great playing horn that they can truly grow with at a more affordable price. 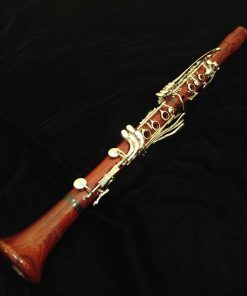 In this category, you will find clarinets that are “student” level but also clarinets that are great for student players (including some wood models). Step-Up (also called Intermediate) clarinets give players the next logical “step up” from a student clarinet. Many feature more professional inspired designs and features but are assembled in a manner that provides cost effectiveness. For most players, especially when paired with a great mouthpiece & plenty of practice, a good step-up clarinet is more than they truly every need! Sadly, most of the industry uses the term “Professional” as a marketing term rather than a true indicator of quality. They do this to part you with more of your money. So we scour the world to provide only the best of the best and we categorize a “Professional” clarinet based on its performance and its build quality. These models are guaranteed to be only the BEST instruments available on the market today! Buffet-Crampon has been the most dominant name in the clarinet world for over 60 years! 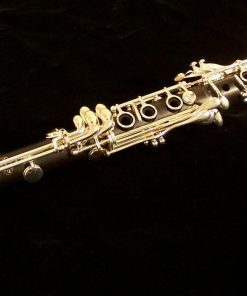 Ever since the release of the R13 clarinet in 1955, to most players, Buffet clarinets have been THE clarinet to own and play. From student to professional models, Buffet has an instrument for all levels of player. Morrie Backun has been on a quest to redefine the clarinet! Noted for their barrels, bells and mouthpieces, Backun now offers a full range of clarinets for all levels of musician. Take a look at the Backun revolution! Selmer Paris has been one of the most trusted brands in woodwinds since their inception in 1885. Today, Selmer Paris offers several top end professional models as well as their new affordable professional clarinets in the SeleS by Selmer Paris line. Yamaha clarinets offer some of the best performance values on the clarinet market. Featuring exceptional build, performance and intonation.